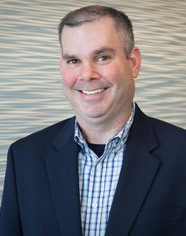 Mike Berman is a partner with KBST&M, and serves as head of the firm’s IT Department. He has been with the firm since 1995 and has more than twenty years of public accounting experience. Mike’s areas of concentration have been in information technology consulting, accounting services, and individual and corporate taxation. He serves many clients in various industries, including professional services, real estate, contracting, and healthcare. Mike holds a Bachelor of Science degree in Computer Accounting from Villa Julie College (Currently Stevenson University).